Based on 1399 customer ratings. 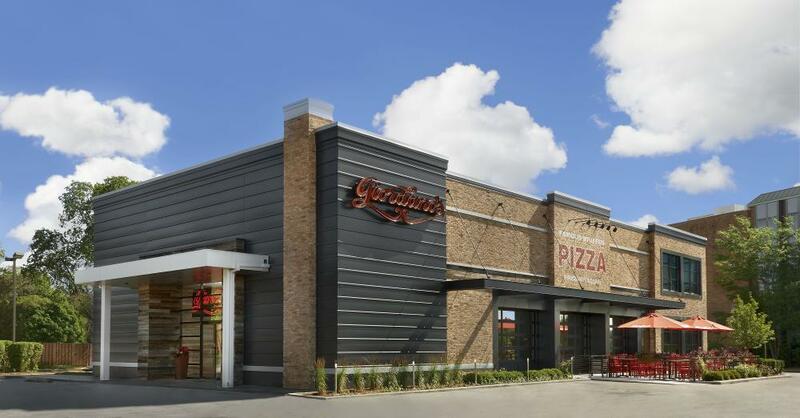 Giordano’s is the perfect place to go or call for pizza, whether you’re working at corporate headquarters or staying at the Marriott. Visit our dining room with a full bar, or book a party in our private room! Prefer eating at home? Order online and ask for pickup or delivery. You already recognize Giordano’s as serving the best deep dish pizza in Chicago. Luckily, you can get our famous Chicago pizza right here in Oakbrook Terrace! At our local Giordano’s restaurant, our pizza artisans construct savory stuffed pies using our old-world craftsmanship techniques. One bite is all it takes to see why Giordano’s is the best pizza place in Oakbrook Terrace! Everybody Loves Giordano’s From the Drury Lane Theater to the Fresh Meadow Golf Club to the Yorktown Mall, everybody loves Giordano’s! Our pizza artisans carefully layer the freshest vegetables and the most flavorful meats between crusts that are so flaky you’ll swear it’s meant for pie. You’ll also love our mozzarella that’s made just for us by a small farm in Wisconsin. We’re more than a restaurant — Giordano’s is an experience, and one that you’ll taste in every savory bite! While we’re famous for our pizza, that doesn’t mean we don’t have other dishes you’ll love. We serve tender pastas, savory appetizers, hearty specialty sandwiches and crisp salads. If you’re going gluten-free, ask to see what selections are right for you!